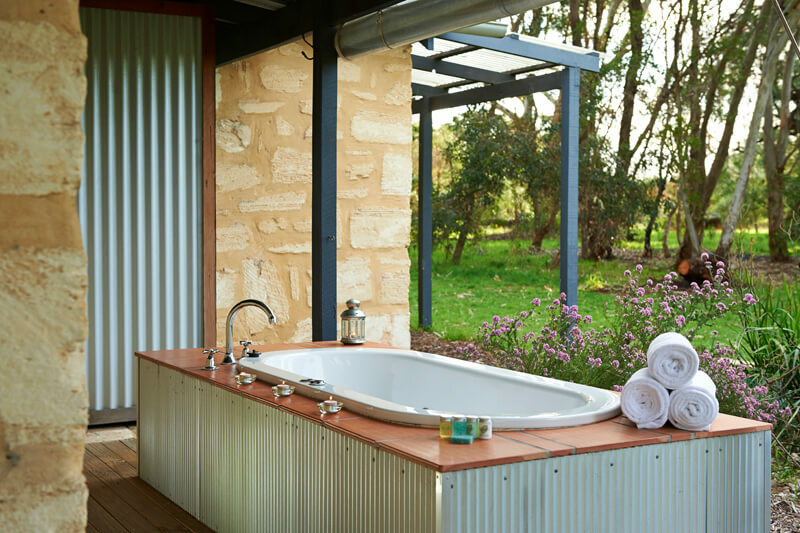 The two bedroom Limestone Spa Bungalow has the same features as the limestone bungalow but with a private spa bath on the deck outside. 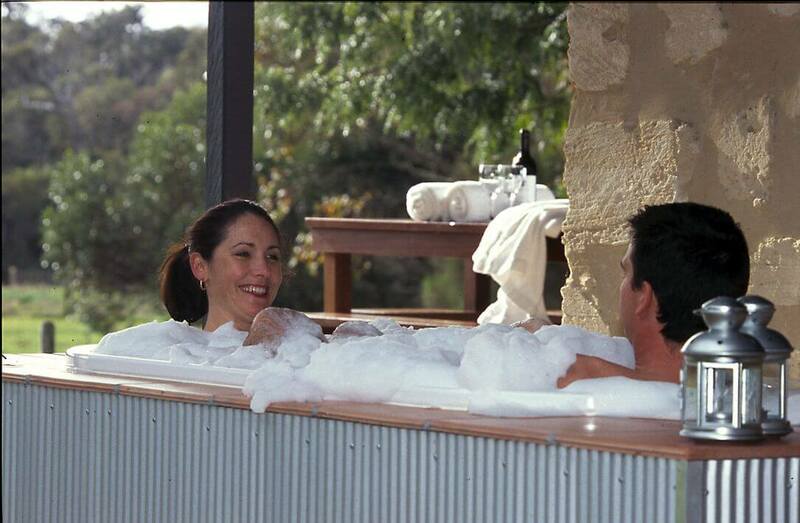 It has become a favourite with couples, but is also perfect for families looking for something special. The rate depends upon how many people stay. One bedroom has a QS bed and the other bedroom a QS bed and a single bed. A maximum of 5 people can stay in the bungalow. 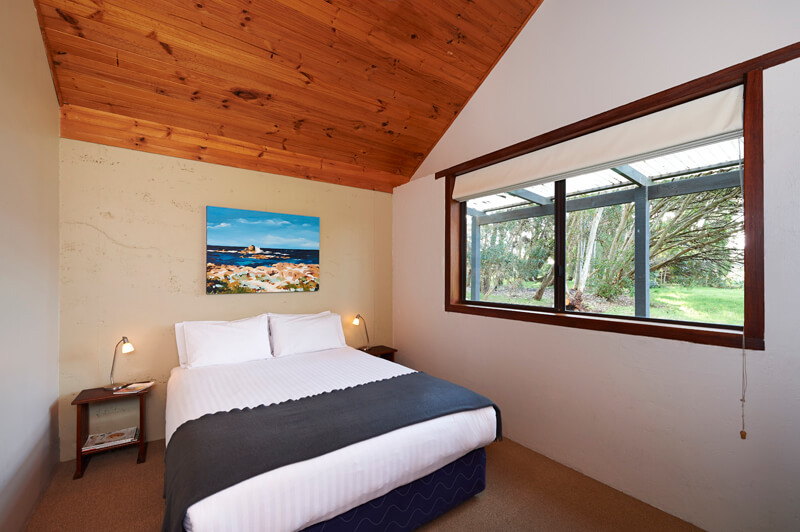 Solid limestone walls and Donnybrook stone floors keep the bungalow cool in summer and cosy in winter. 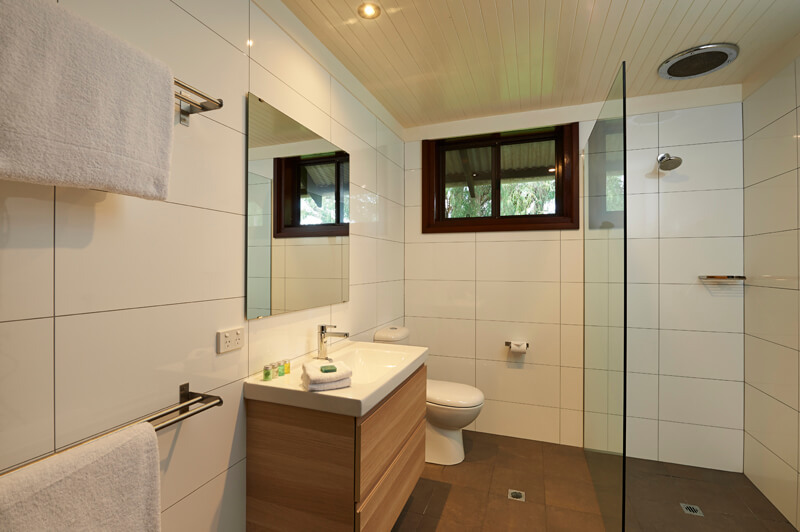 The modern bathroom has a walk in shower, wall sink, floor to ceiling tiles and a front loader washing machine. The modern kitchen is made of Jarrah timber with quality appliances. The open plan living room is a lovely place to relax and look out at the peaceful rural views and birdlife. 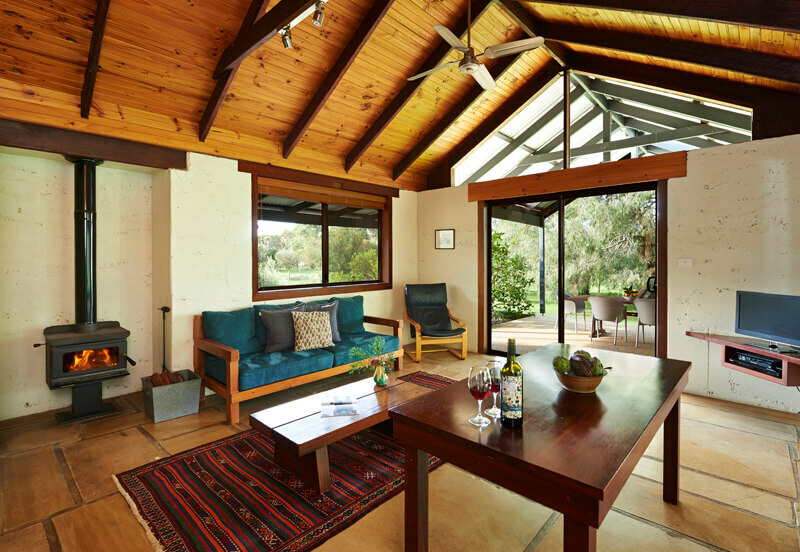 Nestled in bush, the bungalow overlooks the vineyard and cow paddock, with the beautiful National Park in the distance. Watch kangaroos come out of the forest to feed at dusk, or as the sun rises over the trees. 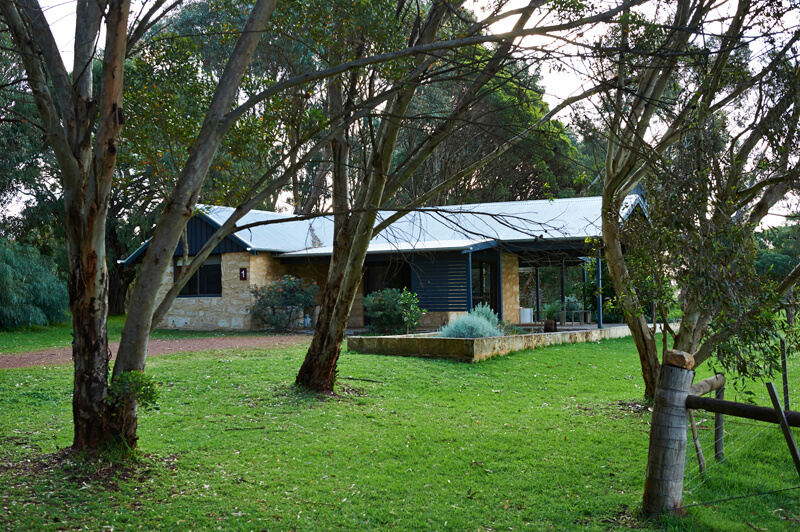 Children are welcome and can play in the bungalow garden or explore the bush. A large swing on a tree provides hours of fun and we are always happy to show how food is grown in our vegetable garden and orchard. The wood pot belly fire is easy to use and warms the bungalow up beautifully in winter. All wood and kindling is provided. Please note there are fire bans in warmer months. Nightly rates from $330 for 2 people, $30 per extra people or child. We offer Farm Breakfast Baskets from $75, delivered to your door at 8am. Why not order a bottle of our Zinfandel Red wine for arrival, $35. Two bedroom, sleeps 5 people total. Two QS beds and a single bed. Late check out on a Sunday? If available $100 and stay until 4pm.